Why no place for middle initial or name? 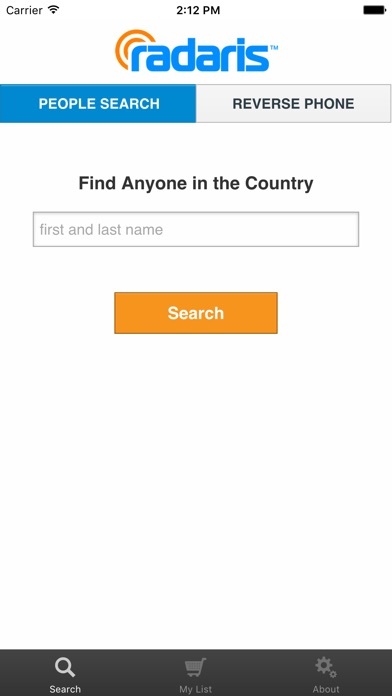 Because they dont have an option to input a middle name or at the least a middle initial, the process of elimination using a common name is virtually impossible. I use Radiris on the computer but as far as this Radiris app goes- it blows. They had the buyers information and people unrelated and wrong phone numbers and my physical address and minor children at the times names! 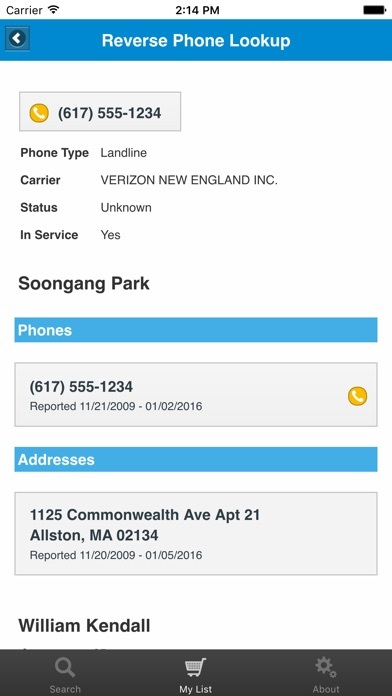 I paid $4, but the report just show me the phone company and phone number, and this info is public and free in yellow pages. Crappy quality app. Oh and you forgot states. Like North Dakota and South Dakota. I had to access public records to see how I was listed. Radaris does not even have me listed but has my husband married to a woman 9 years younger (he loved that) and she even has my children listed as hers. I tried contacting Radaris and after being on hold put over to voice messaging. They even tell you it doesn't even guarantee they will call me back. No wonder that my credit card company transfers me to fraud when I call. Do Not buy anything from them!!!!! 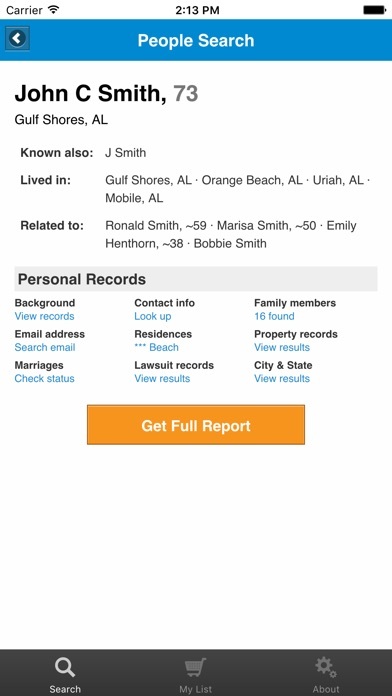 I downloaded this because after doing several online searches for old friends Radaris kept providing the most free information including pictures of everyone with the name I entered making it SO much easier to narrow down the results so I thought this app would be a rockin' short cut to the info I needed. Nope. It brings up the smallest amount of info possible (age, former cities) and then if you want more you are sent to a purchase page to buy it. Uninstalled back to their website. I had great results! 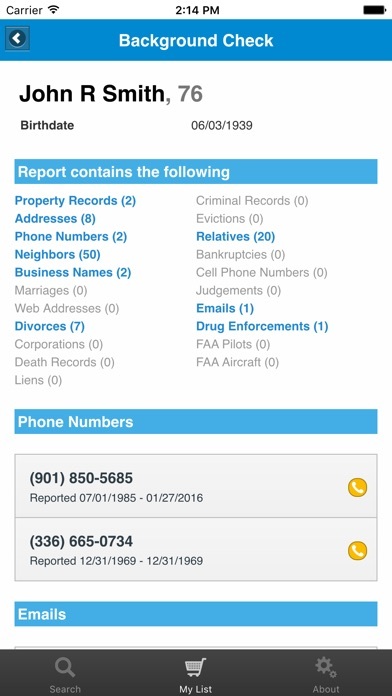 Each person I searched for I found accurate contact information and more. All past efforts lead to dead ends or outdated information. This app is surprisingly on the mark almost every time!! Subscriptions make background checks a lot more affordable. Thanks! Just found my dear friend I lost long time! Thank you guys! 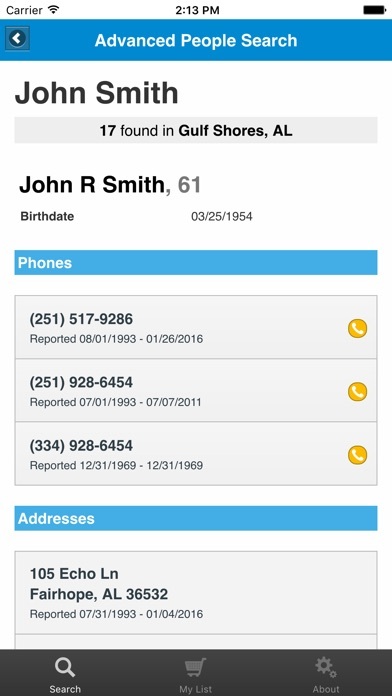 Easy to use app that provides quality contact information every time.